Assaying: Various muffles used in assay ovens for assaying gold and silver 1,2,3: 4,5,6, stopples, bottom plates and covers: 7, wooden mould for forming muffles: 11, 12, bottom and top of assay crucible. 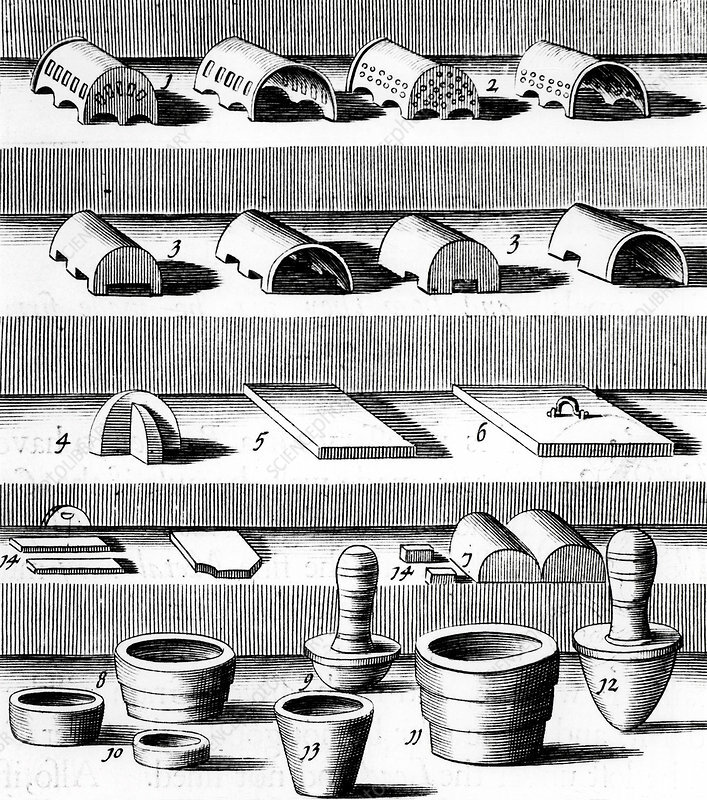 From 1683 English edition of Lazarus Ercker Beschreibung allerfurnemisten mineralischen Ertzt- und Berckwercksarten originally published in Prague in 1574. Copperplate engraving.